Aside from First Degree Murder and Second Degree Murder, one other form of homicide that a person can be charged with is Voluntary Manslaughter. The crime is defined by statute and is governed by Massachusetts General Laws Chapter 265, Section 13. The question of what acts constitute “reasonable provocation” is always present in these cases. Reasonable provocation is present when the victim says or does something to the defendant that would have caused a reasonable person in the defendant’s position to lose his or her self-control, (“go over the edge,”) and cause the death of the victim. For example, if a defendant caused the victim’s death in response to a mere insult, this would not normally qualify as reasonable provocation, and thus a second degree (or perhaps first degree) murder would more likely be charged. On the other end of the spectrum, a classic example of the emotions that could reduce murder to voluntary manslaughter is a spouse finding his or her partner in bed with someone else. The law duly recognizes that emotions produced by provocations and situations like this can be extremely powerful and cause some people to lose self-control. That loss of self-control negates the element malice required for murder, and therefore decreases the level of legal culpability. The second key point here is that the legal elements of “malice aforethought” and “deliberate premeditation” are absent in a charge of Voluntary Manslaughter. Thus, in order for a killing to constitute manslaughter, it must have occurred in the heat of the moment or in the heat of passion before the defendant had time to cool off. If there were time for the defendant to cool off and reflect on his actions before the killing occurred, the killing would probably be charged as second or first degree murder. This illustrates the fact that the separating characteristic between a charge of murder and manslaughter: When a defendant had time to cool off and thus plan his actions, the elements of premeditation and malice aforethought are present, and thus murder charge is brought. 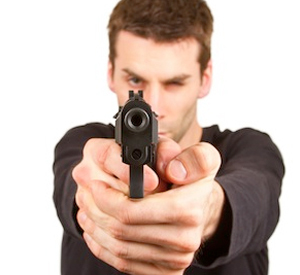 If a defendant killed someone by using excessive force in self-defense, he would likely be guilty of manslaughter (and not murder) because the initial attack (provocation) that gave him the right to defend himself would constitute sufficient mitigation to reduce the charge from murder to manslaughter. However, if the prosecution cannot prove that a defendant did in fact use excessive force in defending himself or someone else then the defendant cannot be found guilty of voluntary manslaughter. If you or someone you care about has been charged with Voluntary Manslaughter in Massachusetts, click on the “Free Arrest Tip Sheet” display button on this page, or just click here. You will receive a FREE document listing the most important action steps that you need to take if you have either already been arrested, or if you feel that you may be arrested soon. This FREE, valuable document will help you to begin to take charge of your situation. Not every criminal lawyer knows the technical differences and nuances between the crimes of Voluntary Manslaughter and Murder. It requires a very experienced Massachusetts Manslaughter defense lawyer to know how to successfully defend these cases. Call us at Ph. : (781) 320-0062, or Ph. : (617) 285-3600, and we’ll provide you with a free initial consultation. Or click here for a free consultation. Our defense team will tell you in plain English what the weak and strong points are in the prosecution’s case against you. We will do all this as part of a free initial consultation for 20-30 minutes. Start here to make this situation better than it is now.